For over a decade, Breast Cancer Action has been taking on pinkwashers: corporations and organizations that peddle products linked to breast cancer while claiming to care about women with the disease. We always think it can’t get worse—until it does. Recently, some of our members living with breast cancer asked us to look into the cosmetics used in a program for cancer patients called Look Good, Feel Better®. Look Good, Feel Better is run by the Personal Care Products Council, the largest national trade group for the cosmetics industry, and the American Cancer Society, the nation’s largest cancer charity. They hold free workshops that give beauty tips and complimentary makeup kits to women in cancer treatment—support that some women understandably value while facing a cancer diagnosis. The downside? Many of the products offered to women in Look Good, Feel Better kits contain chemicals linked to increased cancer risk, including parabens, Teflon, and formaldehyde releasers. As if that’s not bad enough, some of the chemicals in Look Good, Feel Better products may actually interfere with breast cancer treatment. For example, methylparaben has been found to both increase breast cancer risk by mimicking the hormone estrogen and interfere with the common cancer drug Tamoxifen. This outrageous pinkwashing has to stop now! The Personal Care Products Council and the American Cancer Society both claim to care about women living with breast cancer, but they’re giving cancer-linked cosmetics to women in cancer treatment. They’re not just putting cancer patients at risk, but also the program’s volunteer cosmetologists; a recent report showed cosmetologists’ risk of breast cancer is five times higher than the general population. And the health risks extend beyond women participating in the workshops. 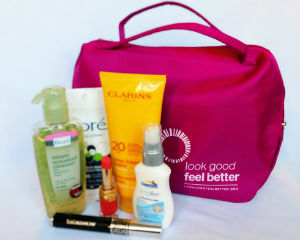 The same toxic cosmetics used in the Look Good, Feel Better kits are also commonly found on store shelves near us all. Women deserve better than this hypocritical pinkwashing. 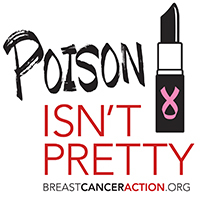 We’re telling the Personal Care Products Council and the American Cancer Society that “Poison Isn’t Pretty.” We demand these multi-million dollar industry giants stop pinkwashing and start protecting women’s health. Join us. 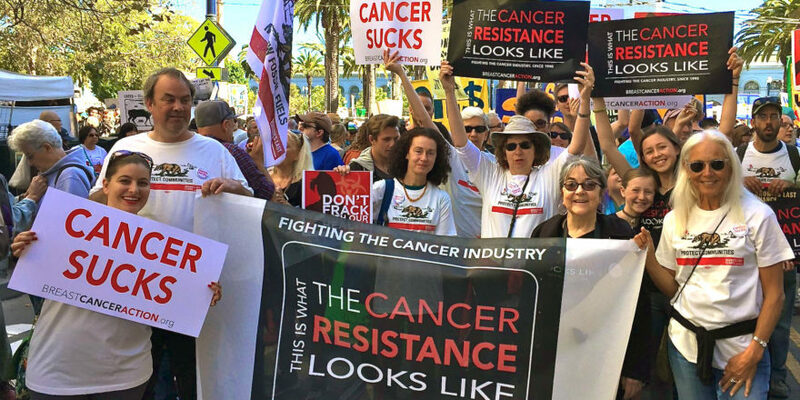 Demand the Personal Care Products Council and the American Cancer Society block corporations from participating in Look Good, Feel Better if their products contain chemicals linked to increasing cancer risk or interfering with breast cancer treatment. Now that would really make us feel better.